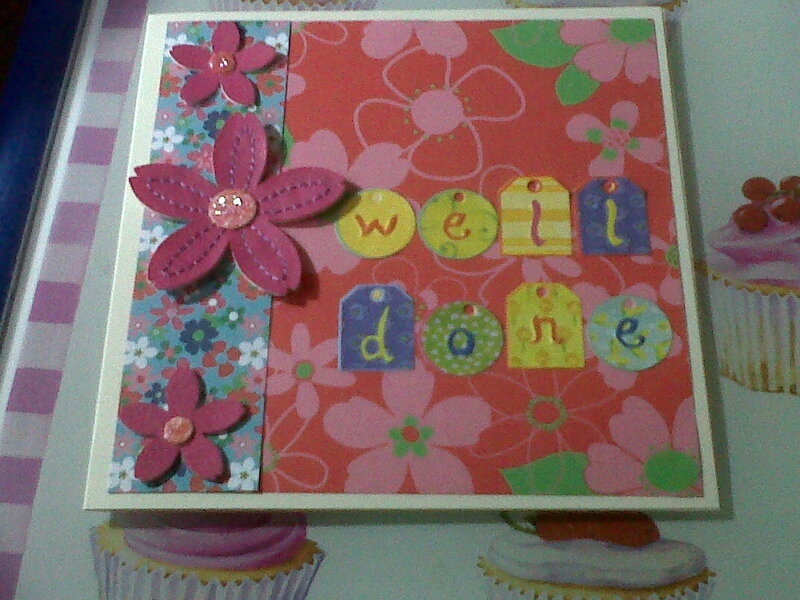 Here is the card I made for this week's challenge at Emergency Crafters, please click the link on the left to take part the challenge closes at Noon (GMT) on Wednesday 9th May. Thats a nice cheerful card. Would be lovely for a get well card too, to brighten someones day. How cute! Love the different tags for the sentiment. Jacqui, Lovely card and such gorgeous colors. Love the little flowers. Thank you for playing in our April Challenge on Art With No Boundaries. Hope you will drop by and play with us again.